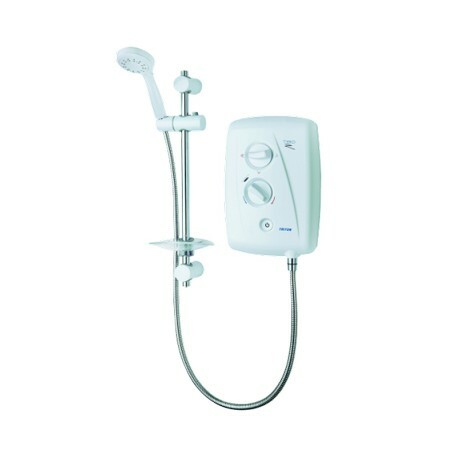 Tritons best selling electric shower, the T80Z Fast-Fit is the ultimate replacement shower. This shower accepts pipe and cable entry from all possible directions. Within the shower, the Swivel-FitTM wiring terminal can swing left or right to ensure any existing cable will reach the connection. Similarly, the Swivel-FitTM water inlet connection can swivel left or right to match the direction of any existing pipework. (PRICE INCLUDES VAT AND FREE DELIVERY TO MOST UK POST CODES).